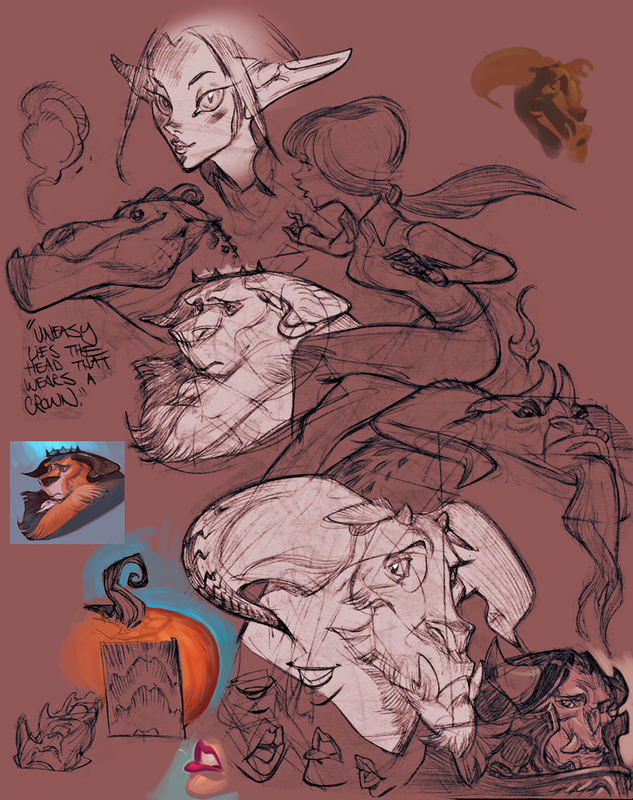 As one might expect, I've been accumulating a lot of sketch pages during this flood of Darksiders II posts. 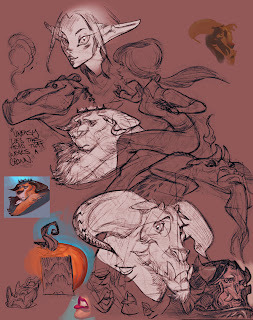 Here's some sad lion/ram characters I did as a demo for a coworker. Tomorrow I'll go back to angels and demons, promise! TEASER : I have an exciting new method for drawing lips which I'm keen to post on Babe Lab soon! It's so simple, it makes me want to puke.